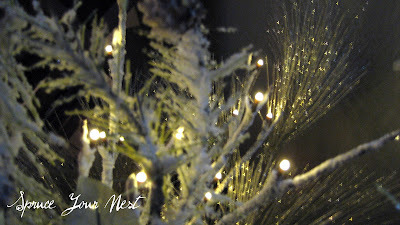 I have to admit that while admiring all the gorgeous pictures from all the talented bloggers out there, I start to feel the desire to go to Pier One and shop my heart out on all new Christmas decor! I have decided to resist the urge and focus on what I do have, and like I do every year, add in a couple extra finds to take care of that little shopping itch. 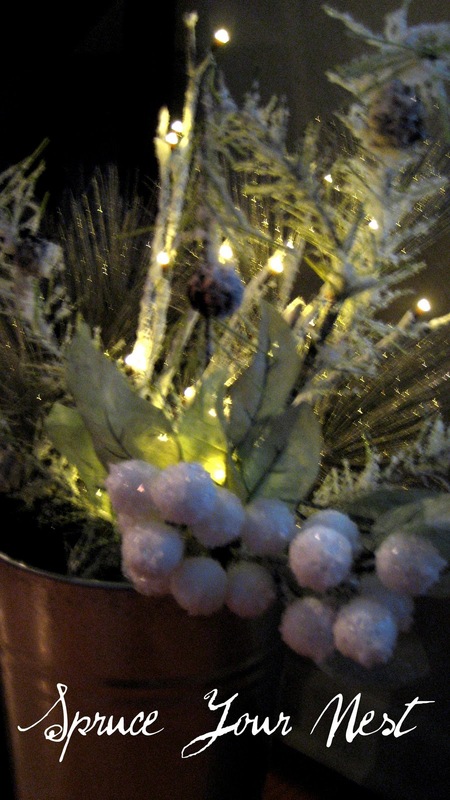 This year I am taking the less is more approach to my Christmas decor. My mason jar candles are one of my favorite things that I have added to my decor this year, and they are so easy and inexpensive! 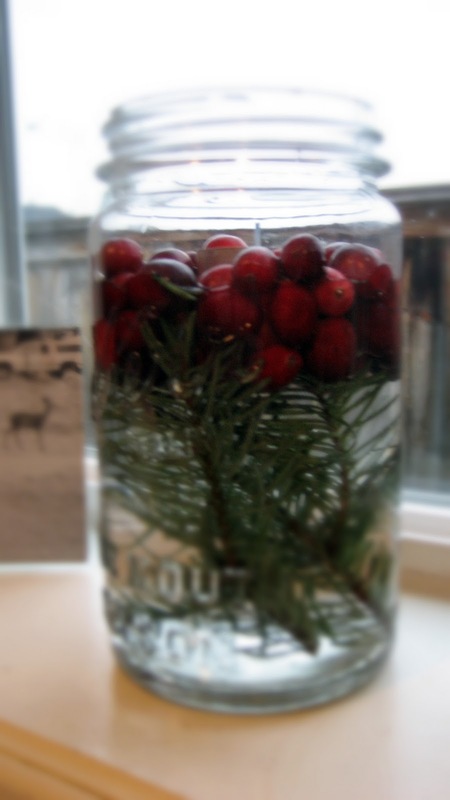 I have added these pine tree and cranberry mason jar candles throughout our home too, to add a little Christmas spirit to places that might otherwise be missed, like our bathroom window. Now on to the outside...we have kept it pretty simple here as well. 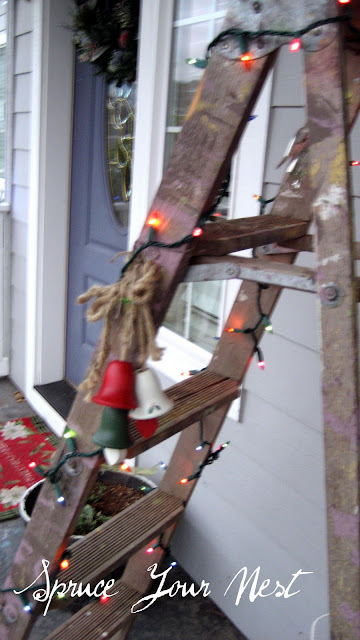 At first I was really struggling with what to put on my beloved ladder, but I have since decided that I am really enjoying it with just my lights and a couple random ornaments. It is a nice clean feel from the busy Autumn decor this ladder boasted. I am trying really hard to get over the fact that the little outside planters are empty because I haven't had the time to get to the fabulous projects I had in mind for them and that my mantle and tree can't even be shown off yet! I feel like Christmas is going to be here tomorrow and I still won't be done. There's always next year, right?! And we won't even talk about how behind I am on my Christmas shopping or that I keep forgetting to put our elf in a new hiding spot everyday! I am running out of excuses of why he is still in the same spot in the mornings!!! 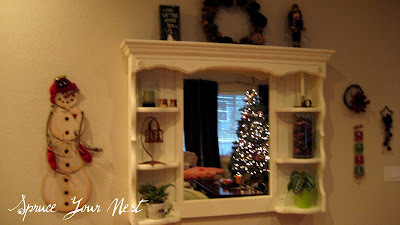 WOW - I have a Ladder Christmas Tree too and those same snowy mason jar candles! 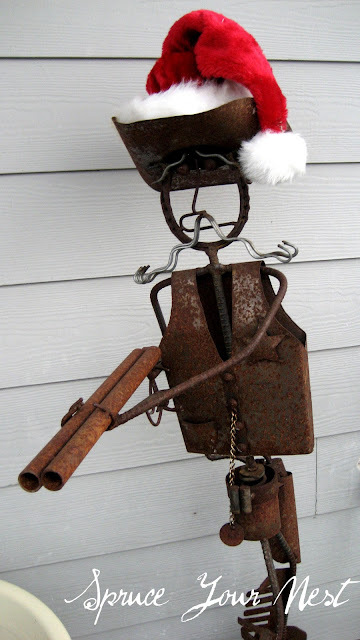 Love your shotgun santa. I totally want a ladder, but I totally have to stop! I splurged on stockings at Target and that has to be it! :) I'm loving the mason jars and greenery touches! It's PERFECT! Love the mason jars with candles and the ladder tree is so cute! Love your ideas for mason jars and the ladder - so simple yet beautiful! This is such cute idea Brooke. I love decorating with mason jars and this is a great idea to share. THanks for joining my newbie party. very nice ! Happy Holidays !!! Hi Brooke! 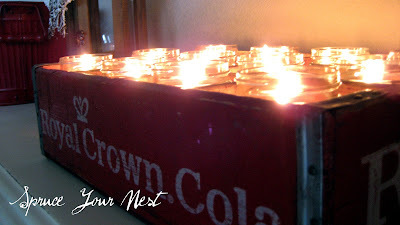 I LOVE the mason jar candles in the wooden caddy. I just might copy that! 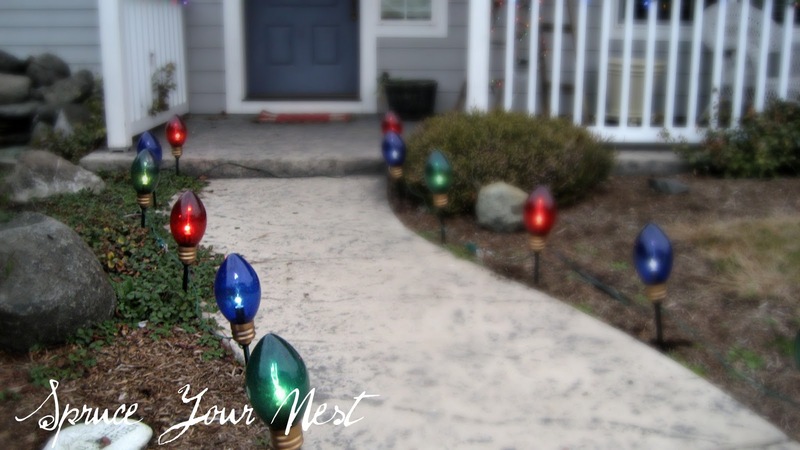 Your home looks so festive. I love the ladder all decorated. What a great idea. Nothing wrong with simple. Especially when it is as charming as your Christmas decor. Love the ladder! 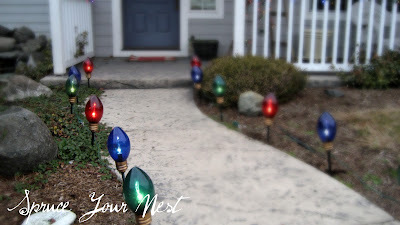 Your decorations are lovely! I kept mine mostly home-made this year.